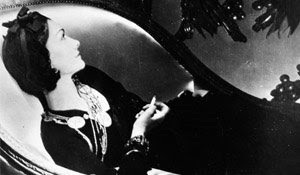 While flipping through the channels this weekend I stumbled upon the Coco Chanel Story on Lifetime and let me say how happy I was! It's a rare night for me to be home AND to find a movie I am interested in so to say I was giddy is putting it mildly! 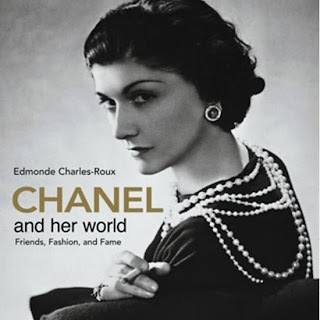 At age 16, The Chanel book was the first biography I read and to this day some of the lessons from her life and quotes have a huge impact on my life. She is definitely one of my icons! The movie was wonderfully depicted, the actress, Barbora Bobulova played young Coco/Gabrielle and it was amazing how she pulled you into the character. Later in her life Shirley MacLaine gives an incredible performance of her perseverance. The story takes us from Chanel's early years in the French Orphanage to her her first job as a seamstress in Paris to her love affairs across Europe. 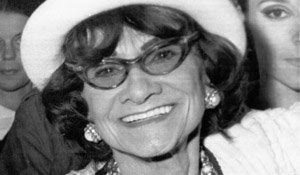 More importantly we learn of the risks she took to make her beloved hats and the faith she had in herself and her creativity. She inspires all of us who are creative business owners to continually look at the everyday with a new set of eyes. You might just be the one to create the "little black dress" all stemming from the lose of a true love. As I previously wrote in this post here, in my office hangs the quote "In order to be irreplaceable one must be different". When this Chanel quote came up in the movie I paused, to take in the moment. It was from a scene where her "niece" was going to an event, her dress looked like every other girls. Coco dramatically tore the sleeves off the dress, pulled the white sheers from the window to create a scarf and gave her niece the confidence to walk in the room with a unique dress and capture everyone's attention. Chanel was by far one of the most pulled together, elegant, sophisticated designers of her time and her style reflected this. If you get the chance to catch the movie on Lifetime do so, I promise you will not be disappointed.